At a previous job, I had to configure an ESXi server for the first time. It was the first time I had ever built and configured one. Additionally, it was the first time my former employer was using ESXi, so I had to design and engineer the solution, then implement it. In order to allow future employees to build and operate the server, I wrote an informal operations guide. I just edited that document to make it more generic and I posted it in the File Collection portion of this site. It's a very rough guide, but it also includes a lot of step-by-step pictures. The one piece that I took out of the guide was the part about networking. While no ESXi operations guide is complete without a networking component since it's integral to the operation of the guest VMs, I simply did not have time to customize that part of the document. 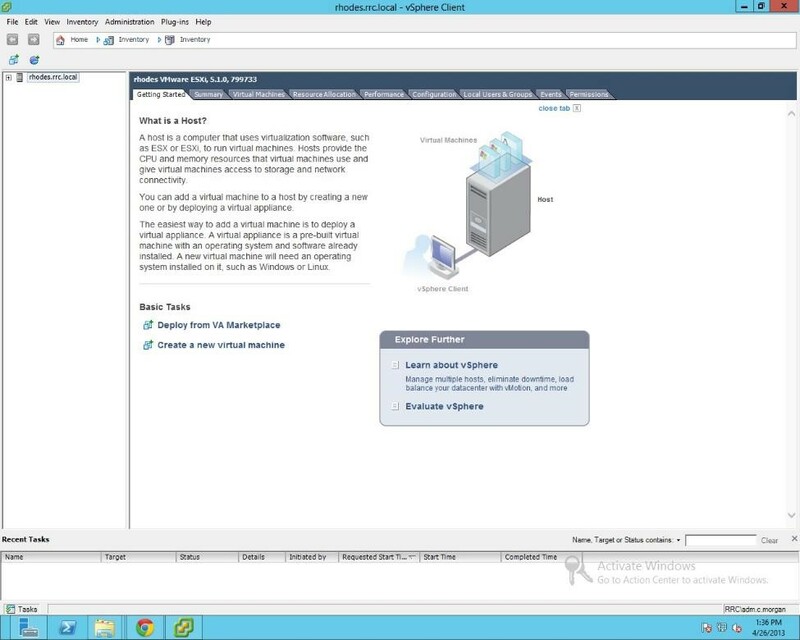 ESXi networking can be complicated and the manner in which it needed to be setup for my former employer was extremely complicated, but it was very interesting and I believe others will find the setup useful as well. Therefore I'm splitting that out into a separate blog post, or potentially an additional operations guide, which will be coming.